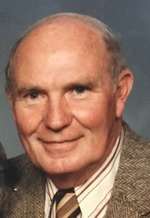 John Clark Smith Obituary - Delta, Pennsylvania | Harkins Funeral Home, Inc.
JOHN CLARK SMITH, 98, of Delta, PA passed away on Wednesday, March 21, 2018 in his home. He was the husband of the late Eyla (Duncan) Smith and at the time of her death in 1996, they had been married for 48 years. Born on June 5, 1919 in Griffin, GA, he was the son of the late John W. and Laura (Clark) Smith. At the age of 15, John was a 1934 graduate of Hamilton High School of Hamilton GA. John furthered his education at Mt. Berry College, Mt. Berry, GA for the next 2 years. At that time, he worked in a carpet factory in LaGrange, GA for three years to save enough money to finish college. He returned to school at the University of Georgia where in 1941 he received his B.S. Degree in Physics. After completing post graduate work at the university for one year, John joined the Navy in 1942 during World War II and became a naval aviator. As an ensign in the Navy, he was stationed in the Philippines and Borneo. He flew a PBY Catalana Seaplane where he participated in submarine warfare as well as search and rescue missions. He was awarded the Air Medal for his exemplary achievements while participating in aerial flights. After WWII, John worked as a physicist for the Bureau of Mines in Bartlesville, OK where he analyzed benzene. He lived there for 3 years where he met and married his wife, Eyla. The couple then moved to Maryland and he worked as a nuclear physicist at Edgewood Arsenal for 25 years. John loved being in the country that led he and his wife to purchase a 52 acre farm in Delta in 1964. He was a quiet man who loved reading and traveling, exploring the United States, Canada and Europe along with his family. A private interment was held at Slateville Cemetery.